Knowing the best cities to hustle and make money in Nigeria has become a problem for most hustlers who intend to leave their comfort zone for greener pastures. It is virtually true that we are one Nigeria, but some states are greener than the other when it comes to hustling. There are 36 states in Nigeria, but not all of them are good for hustlers to make money. Since I came back to Nigeria, I have toured virtually 30 states – excluding the core northern states, and I believe that my claims can hold water. When I talk hustling, I mean a combination of full-time job, business, and some other legal and illegal kinds of stuff. Whichever you intend doing; these states can offer you a type of lifeline. I will list out the states, and the suitable kind of hustle to do in the state. Just at the end of the article, you can add up your own contribution should in case I made some pretty good errors. 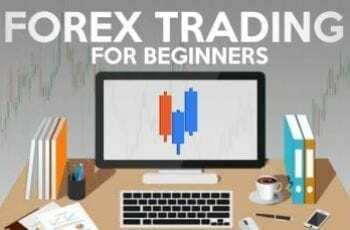 There are several profitable business opportunities you can enter into, it depends on you to find discover them on this site. Lagos is called the golden city and in fact, it tops the list of best cities to hustle and make money in Nigeria. Aside from the fact that the growing population of Lagos is exceeding the land mass of the state, it is still a green area to hustle and make money. It is called a no-man’s land because it houses an equal number of virtually all the tribes in Nigeria. You have to believe that once you are good at something, you will surely make money in Lagos as a hustler. Regardless of the widely acclaimed fact that there are no jobs in Nigeria, it is easier to get a job in Lagos than anywhere else in Nigeria. No matter your type of hustle, you will still find similar amigos in Lagos to help you. If you are searching for one of the best cities to hustle and make money in Nigeria, then Lagos is surely there for you. Best types of hustle in Lagos => Full-time Job, Business, and Freelancing. These two cities combined have produced more millionaires than any other city in Nigeria. They are the hub of several businesses in Nigeria. If you know you got business potentials and willing to establish yourself as a business mogul, then you need to relocate ASAP to any of these two cities in Anambra state. Those two cities are certainly some of the best cities to hustle and make money in Nigeria. I would suggest that you should be staying within the eastern part of Nigeria to fully tap into the riches that Onitsha and Nnewi have to offer. Just like Lagos, Kano state has positioned itself as one of the best cities to hustle and make money in Nigeria. It is basically situated in the core northern part of the country. It is an Islamic controlled state, but we have more hustlers than religious fanatics in the state. If you are interested in exporting goods (Tomatoes, Cows, Onions, and etc) from the north to other parts of Nigeria, then Kano state is there for the taking. There are also other fast-moving products like clothes, shoes, and many others that you can import from a mega city like Kano and sell in other parts of the country. Hustling opportunities in Kano => Business. It is the Federal Capital Territory of Nigeria, and it is a city with lots of opportunities for everyone. 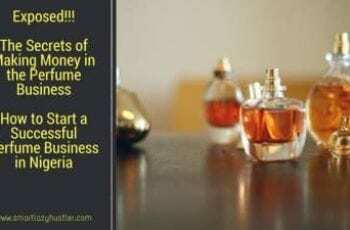 Unlike the cities above, Abuja is one hell of a city for new-time hustlers. The city is fast-paced; and unless you have the good capital and a base, you might find it hard penetrating. Private jobs are quite scanty unless you have someone in government to give you a mouthwatering federal govt job. It is a city that welcomes freelancers who are involved in one business or the other. As long as your initiatives are unique with lots of benefits to users, you will surely thrive in a city like Abuja. It is one of the best cities to hustle and make money in Nigeria if you have a skill you are good at. 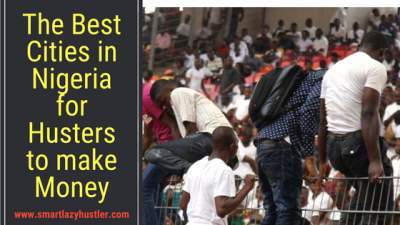 There are more of heavy spenders in Abuja than good places to make money as a hustler. Hustling opportunities in Abuja => Freelancing, Business, and Federal Govt Jobs. It came into the list of best cities to hustle and make money in Nigeria because of its teeming population. Ibadan is the largest city in West Africa, and the population continues to grow. Aside from that; the low cost of living has made it a good entry point for armature hustlers to find their bases before projecting. I personally started off in Ibadan and the environment was something to write good about. The purchasing power of inhabitants in Ibadan isn’t on the high side, but the population makes up for it. There are so many hustling opportunities in Ibadan and it is up to you to figure I out. Training centres, freelancing, business, and job (low paying ones), are in abundance in Ibadan. No matter you take home amount monthly, you can still survive pretty well anywhere around Ibadan. Hustling opportunities in Ibadan => Freelancing, Business, and Low-paying jobs. It depends on you to find your preferred area of business and freelancing strength. I personally hate 9-5 jobs; that is why I am here to always educate you on legit hustles to make you rich. You can see other business opportunities should in case you want to become an entrepreneur. I wish you the best. Just remember to subscribe to my hustler’s list and gain valuable information.